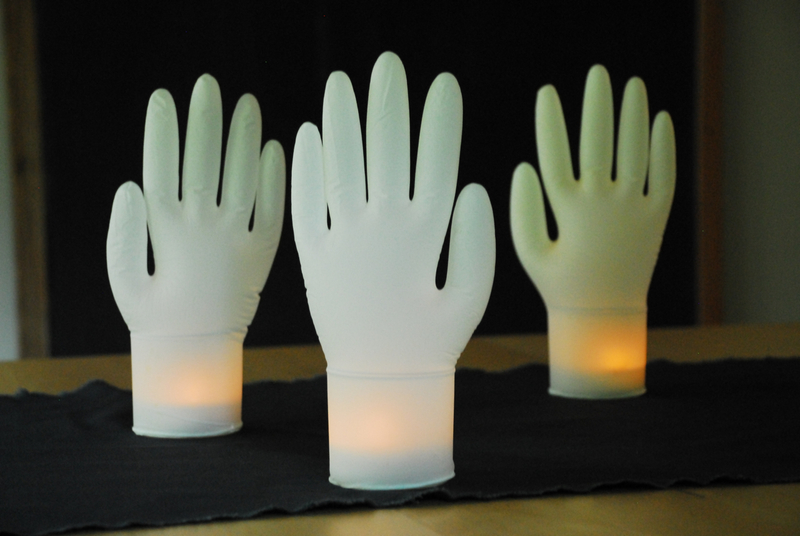 Grab their attention this Halloween with these easy-to-make glowing hands. 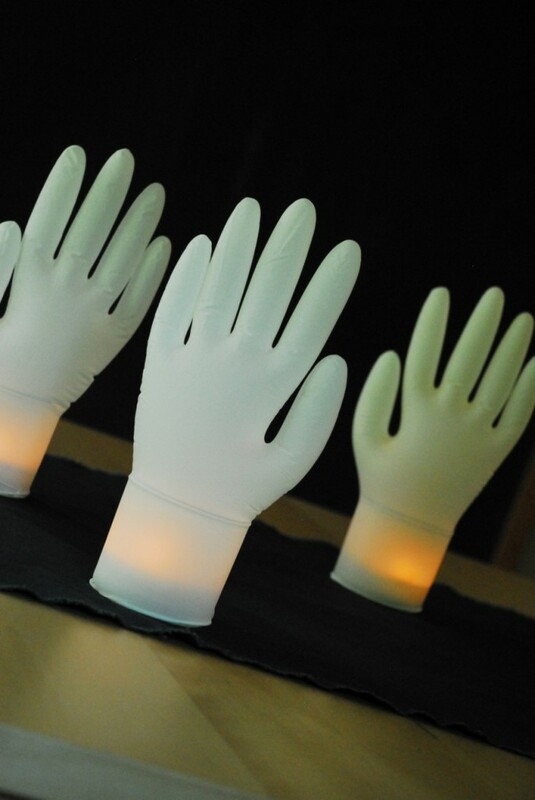 These glowing hands look striking on a table, mantel or even poking up from the front yard. I love to create decorations that draw people in to take a closer look. 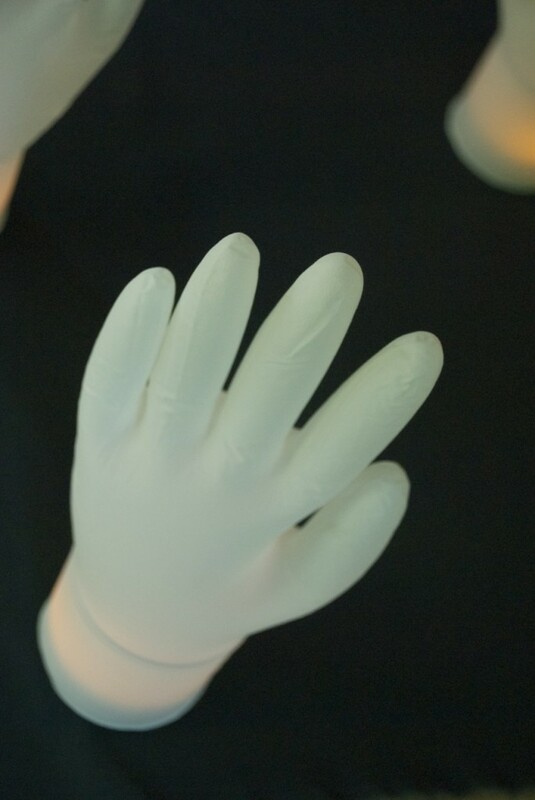 For this project you will need: disposable gloves (I was able to get a bag of 30, latex-free gloves in my supermarket for about $8.00), an electric tea light and a glass votive holder that is about 2.5-inches in diameter. Turn on tea light and place it in votive holder, slide on glove. 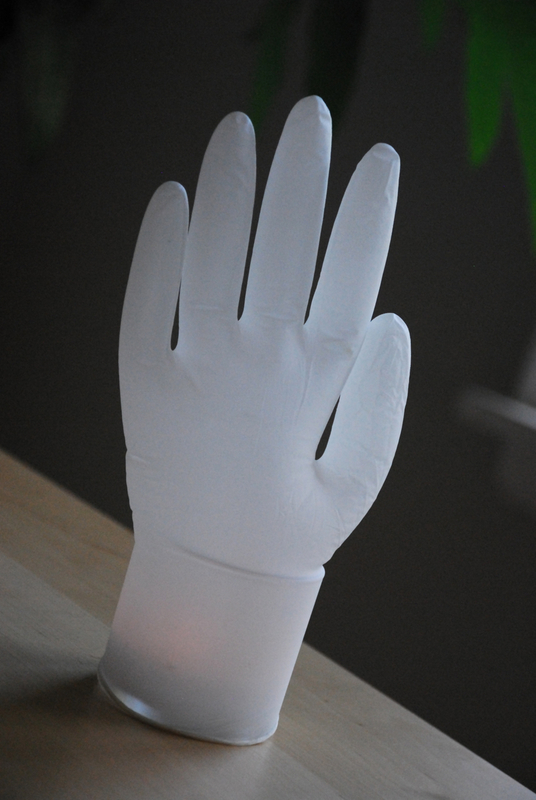 Insert a straw between the glove and the glass votive holder and blow air up into glove. 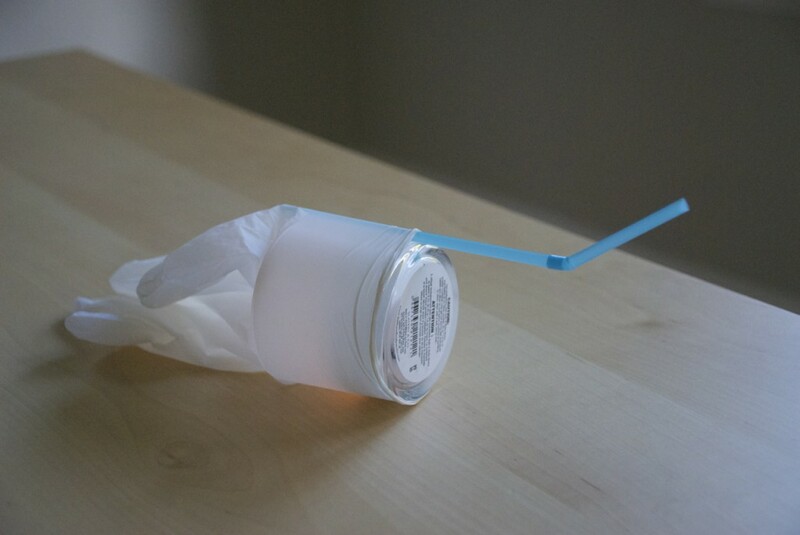 Once you've inflated the hand, continue to blow air through the straw as you gently pull it out (this prevents the glove from losing air while you are removing the straw). Make sure glove is pulled down to the base of the glass votive holder to create a smooth and finished look. These gloves will hold air for several hours. To turn off candle, pull off glove. My kids loved making these with me – I hope you enjoy making them too. Ahhh! These are great! I found you on the HGTV message board that I never knew existed til i found my own post there 🙂 I’m also a nurse (with more than enough gloves-lol) so this is definitely on my to do list for my party-thanks so much! An ahh haa moment when I read your directions. I could not figure out how you made these fantastic lights. Great idea and very inventive. Thank you for shring. Take care.